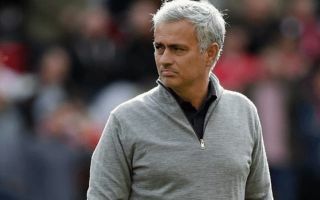 Twitter was full of Manchester United fans sharpening their knives for manager Jose Mourinho on Sunday as his side dropped points in humiliating style at Brighton. Mourinho has been the Red Devils boss since he replaced Louis van Gaal in May 2016, but many now think it’s time he moved on. Fans were furious after seeing Brighton race into a 3-1 half-time lead through goals from Glenn Murray, Shane Duffy and Pascal Gross, who scored from the penalty spot after a foul by Eric Bailly. Romelu Lukaku and Paul Pogba scored consolation goals for United who lost 3-2. Many of United’s players performed poorly, including Lukaku despite his goal. But none of them copped as much stick on social media as Mourinho. One fan wrote simply: “We have to get Mourinho out”. Others were less polite. If United were to sack Mourinho it would not be a cheap transaction. Mourinho is under contract until 2020 so United would have to spend a fortune paying him off. The Special One is no stranger to a meaty pay-off, having been sacked twice by Chelsea in the past. Absolute dogshit from United. The quicker we get rid of Mourinho the better, if we drag this disaster out the until Christmas we’ll end up 7th. Enough is enough, get mourinho out and get Zidane in please ?? #BRIMUN pains me to say this but Jose Mourinho has to leave. We can’t continue this way.